This post will help many of the blogger and especially to those who are get disappointed after rejecting there application from adsense but don't worry there are lots of other and better programs that provides advertisement to your blog or you can monetize your blog with it. Here i'm sharing some "Trusted advertisement program" or "Best earning source for blogging in 2013" or "Popular alternative of adsense" for your blog to monetize it but let me tell you one thing if you are the newbies then first concentrate on traffic because all advertising program will provide you ad codes but it will be of no use if you don't have a decent traffic. Here i'm telling you all major ad program with there specific program and which also works for newbies blogger. In this program as name suggest that you place an ad on the blog and on each click on that ad will make money for you. PPA is quit same as the PPC but there is a little difference that it doesn't provide money on each click on ad as PPC provide but it provide a % money share on each action that a user perform like as it register , buy or purchase anything from your ad . it can aslo be called as Affiliate marketing and this is not recommended to the newbies or to the blogger how don't have a decent traffic. 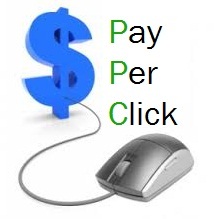 www.clixgalore.com (it provide all PPA,PPM,PPL,PPC). this is the best of best for the newbies and all blogger , in this program as you shorten your link as some go through that link the reader should to skip that page to reach your content and through this skip ad you can earn decent money and the best part is that the payout of this program is minimal then other program and any blogger can start from the first day of blog. but as a good or successful blogger doesn't use this program as no reader like to skip ad and don't want to waste its time. earlier we have to pay to upload stuff on sites and now also on big brand sites but now-a-day as the advertising world is on the growing with a high speed the new way of advertising has been explore. in this program you have to upload stuff on there site and on each download they will pay you well and if your stuff is best then you can earn a lot from it. Without Survey (Recommended) :- this is the best type of uploading site to upload your stuffs and in this reader or viewer can simply download file as a direct download link. text link ad will be bounce or act as any extra revenue for your blog , simply register to there site and feed your blog info then they will provide you ad code and simply add that codes to blog and thus you are with text links ad and ya as it name suggest don't think that it just provide the text link but it also provide graphical ads too. this ad program include or come in pay per post scheme , in this program you have to write about the some products or you have to reviews there products and they will pay you. and if you have a good traffic then you can directly write for the company's products and they will pay you well and you don't have to give money share to the middle man as commissions. In this program the ads are attached with the post or we can say that in post some words are double underlined(sponsored links) and that are the ads words as the reader move over that word the advertisement box will pop up and as any body click on it you or publisher earn. As there are other program too but they are mainly for the high Traffic blog and the for that blogs www.buysellads.com is the best in this you can simply choose ads for your blog and rates are also fixed and they work as monthly rental. there are few other program which i'm testing on them and soon i will tell you about its working and also explore a new world on monetizing your blog tell then keep visiting tricksage.blog. What's your favorite ad program ? if you'll thinking to monetize your blog then you can go for this above program which have highest paying rates and lowest payout rates ..
Are you looking to make cash from your websites/blogs via popup advertisments?